We are committed to protecting your privacy. Our policy is that we will not share your personal information with any one without your prior consent. ESL Jobs takes the privacy of its users seriously. - If you decide to post your resume on ESL Jobs, the information you provide in your resume submission, along with your name and contact information you provide in your ESL Jobs registration, will be accessible to employers, recruiters who purchase access to the resume database. Therefore, you should carefully consider what information you provide in your resume submission. ESL Jobs is not responsible for employers, recruiters who re-disclose your resume information to 3rd parties without ESL Jobs's knowledge or permission. If you have specific questions about the privacy of your information, please contact ESL Jobs prior to providing the information. 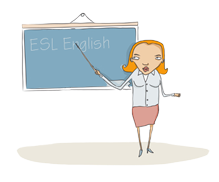 - The information you provide in your job postings, including the contact information you choose to include, will be viewable by anyone who visits the ESL Jobs web site and should be considered "public" information. We will use your information for several general purposes including: fulfilling any requests for information or services placed by you, processing any other transactions authorised by you, personalising your experience on our Website, keeping you up to date with news about ESL Jobs, our products and services, and providing other information to you which we think you may find of interest. Your personal information shall not be used for any other purposes. Upon request, we may provide you with a copy of the personal information which we hold about you. Please address requests to ESL Jobs and insert "access request" as the subject heading, or write to us at the ESL Jobs Address, stating your name and email address for identification purposes. Please address your requests to change or delete your personal information to ESL Jobs and insert "change details" or "unsubscribe" as appropriate as the subject heading. Alternatively you may write to us at the ESL Jobs Address, stating your name and email address for identification purposes.